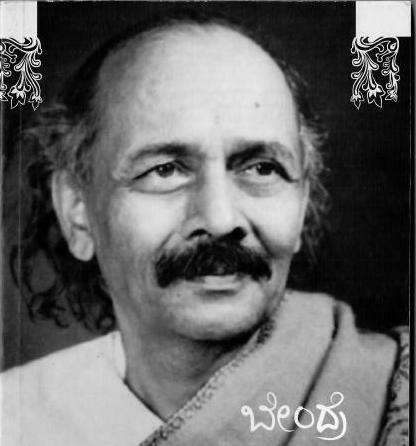 One of Da Ra Bendre’s most popular song-poems (ಹಾಡುಗಬ್ಬ), he wrote it as a ಸ್ವಗತ (swagata: ~soliloquy) when the unexpected loss of his job forced him to return to his home “ಶ್ರೀಮಾತಾ”in Sādhanakēri, Dharwad. Here is a recording of my reciting (singing) the original Kannada poem. The tune, if one is discernible, is Praveen Godkhindi’s. Back to this town where you were merry. The green along the paths has shown. Is there anyone who is not cheered? The land’s youth has returnèd. For Shrávana’s beauty it is the season. The spell within the yakshi’s bower. In groups above the meadows gay. All anxiousness has fled this ground. A sight like this, a sight so fair? One of Da Ra Bendre’s most famous poems, revealed to the world when he recited it at the close of his President’s Speech at the Kannada Sahitya Sammelana in 1943. Per his own admission, the rapturous reception it received left him reeling. Here is a recording of my reciting the original Kannada poem. Enfold us in your clasp. Come, breathe life into these deadened hollows. That made your pool of consciousness swell. That fed upon your showers. You alone are both parents. For my tears of joy I cannot stay. When they talked of the avatāra, the descent. Note: I was only able to approach this translation thanks to the wonderfully thorough and fascinating Kannada explication provided by Sunaath Kaka on his blog, sallaap.blogspot.com. To receive his praise for this translation (when I shared it with him two years later) was particularly gratifying. My thanks to him. It seems fitting to start this blog with Bendre’s own estimation of himself as the poetic-power Ambikātanayadatta – the son of five mothers (ಐದು ಐದೆಯರು). Here is a video of Bendre reciting this poem. Incidentally, this is perhaps the only video recording available of Bendre reading out his poetry. As Ambikātanaya he mirrors now in Kannada the universe’s inner voice.